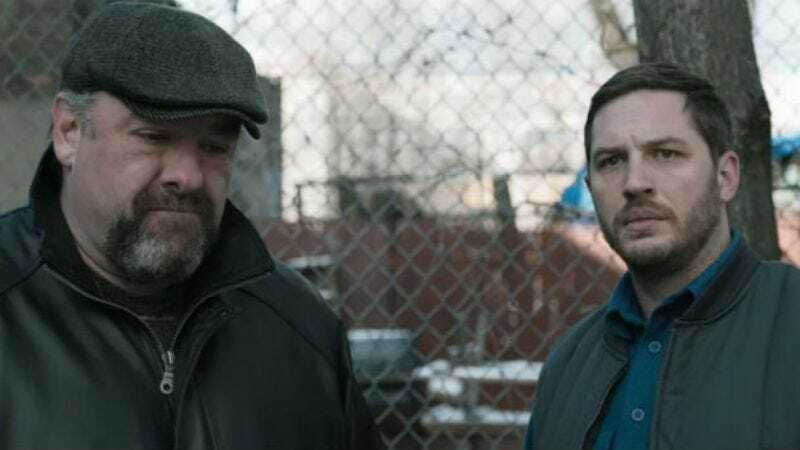 James Gandolfini gives his final performance in the new crime drama, The Drop. Staring alongside Tom Hardy and an adorable Pit Bull, Gandolfini plays Cousin Marv, the owner of a bar in Brooklyn that is used as a money drop, funneling cash to local gangsters. After the bar is robbed, Marv and his bartender and cousin (Hardy) are thrown into an investigation that uncovers the neighborhood’s dark past and turns their lives inside out. The Drop opens in theaters September 12, but The A.V. Club has an opportunity for you to attend an early screening September 8, here in Chicago. For a chance to receive passes to the event simply follow the link here and redeem the code AVCDROP1090. Fifty lucky participants will be able to attend. Remember, seating is first come, first serve, so arrive early! A synopsis and trailer for the film can be found below.